Entirely too often do we allow fear, uncertainty, shame or embarrassment to keep us from getting what we really want. As a practitioner of Potomac Falls cosmetic dentistry near Herndon, Dr. Uzma Ansari understands this concept all too well. That is why the unique approach to cosmetic dentistry that she has incorporated into her practice has been able to help so many with a full range of issues to be dealt with. 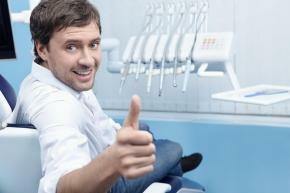 Many of us know that we would like to improve our smiles. Uncertainty about the importance of such desires or perhaps over the proper way to proceed may prevent us from taking the all-important first step. On the other hand, maybe it is a feeling of shame or embarrassment over the particular issue that we face that keeps the matter a private source of dismay. Of course, fear itself may paralyze us even once we have made up our mind to take action, worrying that the procedure will be painful and uncomfortable. These problems are far more common than you think, which is why Dr. Ansari’s easy, reassuring and, above all, attentive approach to therapy has so much success. Dr. Ansari has a wonderful skill in bringing comfort to her patients and opening a dialogue with them in a simple, honest environment. Be assured immediately that there is no problem too large or too small. Quite simply, if you want something fixed, it needs to be fixed, and Dr. Ansari wants to make it happen for you. Her passion for helping others continues to motivate her and she remains eager to show what cosmetic dentistry can do for Herndon area patients like you. Call her office now to find out how. Dr. Ansari provides quality, compassionate care for cosmetic dentistry for Herndon, Potomac Falls, Sterling, Leesburg, Ashburn and Great Falls, VA.